3 Gringos Mexican Restaurant Vincentia - We specialize in delicious Mexican cuisine, freshly prepared and brought sizzling hot to your table! Our menu features a wonderful selection of appetizers along with delectable fajitas, burritos, enchiladas, tortillas and traditional combinations. 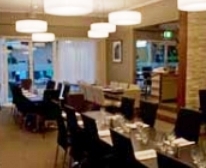 Supply Cafe Jervis Bay - Serving quality Italian style espresso coffee from boutique roaster 'Toby's Estate' you will find vibrant surrounds and an upbeat atmosphere. 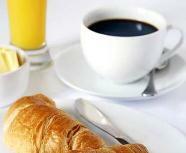 With an extensive breakfast menu that will always get your day off to a great start and simple yet smart lunch menu that changes with the season, choice is never a problem. Open for breakfast and lunch 7 days a week. Gunyah Restaurant at Paperbark Camp Woollamia - The Gunyah (aboriginal for meeting place, or place of shelter) is at the heart of the camp. 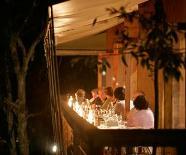 It is a chic space built high off the ground to enjoy the sea breeze and a wonderful position amongst the tree tops. Our menu reflect a modern European influence and change according to the season. Children are welcome with a special menu. 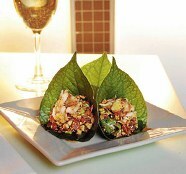 Hawng Khrua Thai Restaurant Huskisson offers a diverse range of Thai food for those who enjoy the Thai option. Seafood Vincentia - JB Seafoods - Reknown for the finest fresh seafood and burgers JB Seafoods is the local specialty take-away location for everything fresh and tasty. Deli Vincentia - Nostalgia Gourmet Deli Burton Mall - To enjoy the finest of deli produce you must visit this shop in the mall at Vincentia which also delivers an abundance of fine cuisene dine on outside whilst savouring an expresso or two. 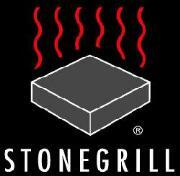 Stonegrill is an interactive dining experience were your meal comes to your table on an individual hot stone. This system gives you control of how you like your meat cooked, how many times have you sent a steak back at a restaurant because it was not cooked the way you asked. 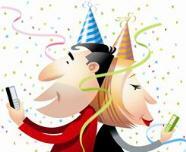 The stones will stay at cooking temperature for 40-45minutes ideal for the slow eater. Vincentia Cakes & Pies - Nestled in the passageway behind Nostalgia Deli is a specialty pie and cake shop were you will find an abundant choice of enticing treats and the freshest variety of breads.